Stay seen with our essential range of Hi Vis Bundle Deals. 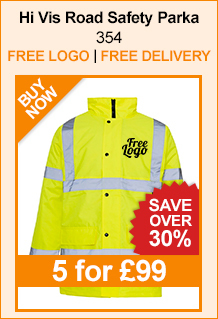 Conforming to a number of safety standards, we are certain you will find hi vis clothing ideal for your workplace. Add your company logo to complete a professional appearance. 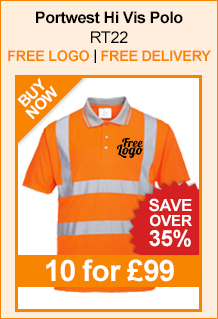 £159 FREE LOGO Bundle Deals! 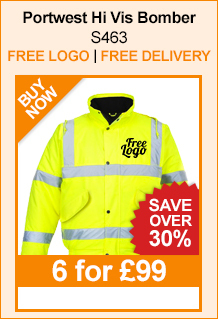 If you love our £99 Winter Workwear Deals, but you need a higher quantity, then don’t worry. We have already put together these higher quantity bundle deals for you, with huge savings still on offer (including FREE logo application and FREE delivery)! Simply choose your sizes and colours to get started. 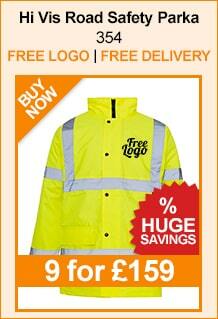 Some great offers on High Visibility garments with logos added. To purchase plain garments or individual garments (with or without logos), click here to view our entire range.